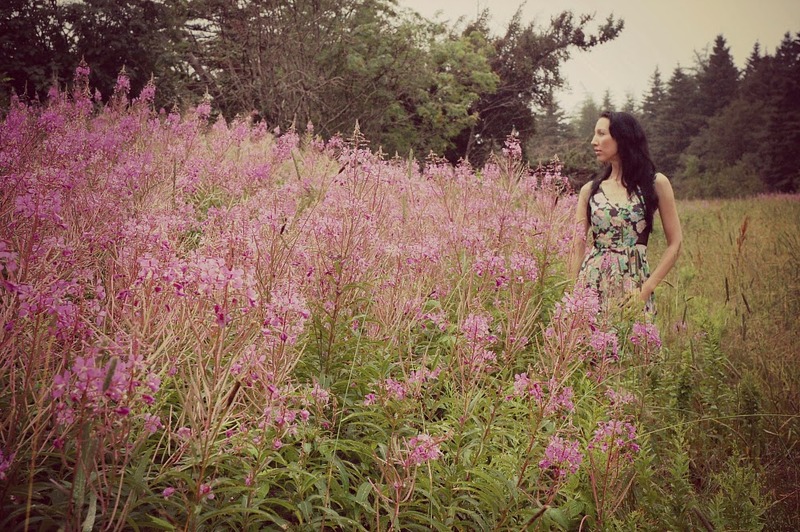 I recently connected with Sasha Stine, of Soaring Birds Studio. 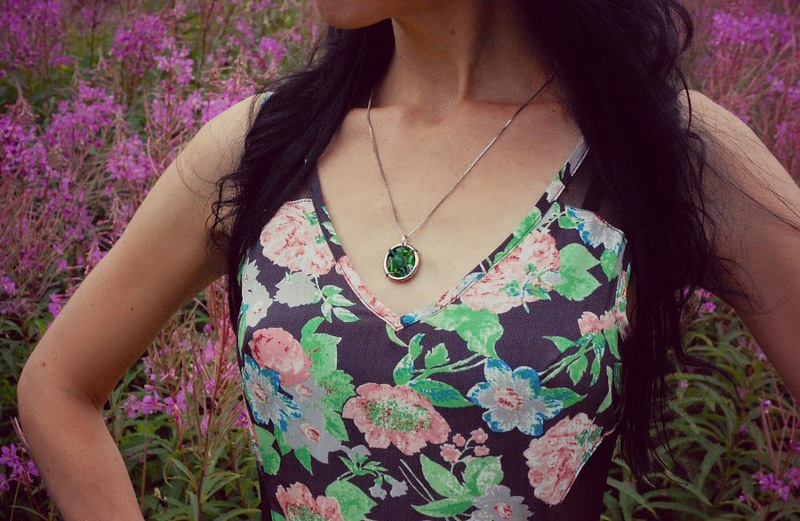 Sasha creates beautiful, unique jewelry to help spread awareness about various diseases, disorders, and conditions that affect many children and their family members. Each piece is handmade using Swarovski crystal beads and Czech glass beads hand-wrapped with jewelry wire within circular or teardrop pendants. Sasha shared with me the story of her son, Liam - the inspiration behind her business. I started creating jewelry to honor my son, Liam The Brave, and all of the extraordinary families and children we've met because of his undiagnosed, medically complex and fragile condition. Liam was born in December of 2010, seemingly perfectly healthy after an uneventful pregnancy and natural birth. At 3 months of age, he was smiling, rolling over, holding his head up, and nursing like a champ. Then one day he had a cluster of seizures. He was diagnosed with a catastrophic form of childhood epilepsy called Infantile Spasms. He was hospitalized for 3 weeks, and he was so sedated from all of the medication that he slept for most of that time. When he finally awoke, he was unable to hold his head up, and unable to drink from a bottle. His MRI showed massive deterioration of his brain in both hemispheres and cerebellum. His brain was dying, shrinking. There was damage everywhere. We could see it on the film. It was white where it should have been gray. His neurologist was expecting the MRI to be clear, to be normal, but it wasn't. He suspected mitochondrial disease, however, biopsies and blood tests did not confirm that. 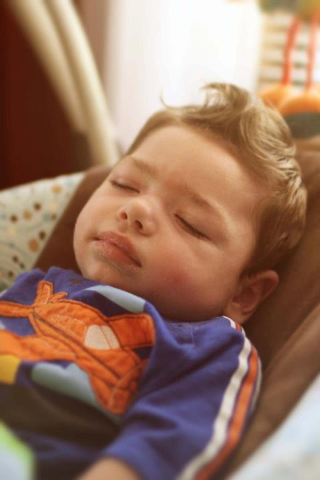 The infantile spasms were eventually resolved with ACTH, a powerful steroid treatment, and Liam had multiple surgeries to insert an NG tube, and do a fundoplication. 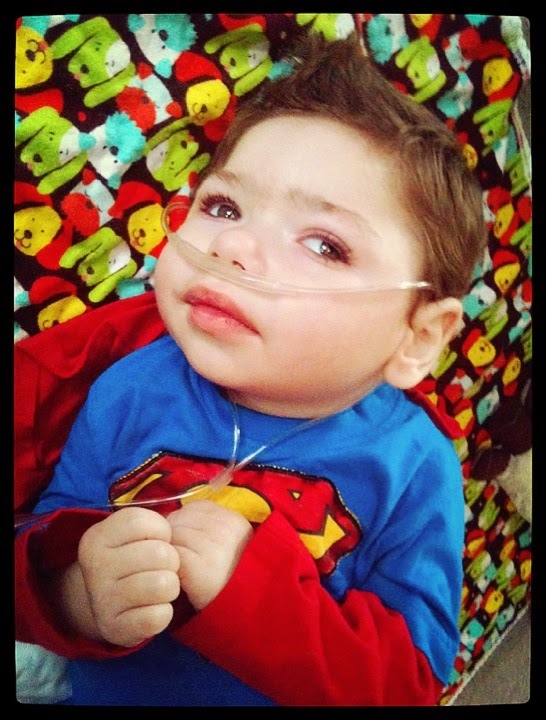 In October of 2011, Liam was having shallow, irregular breaths and he stopped breathing. His nurse was at our home and resuscitated him with vigorous stimulation. An ambulance was called to transport us to the hospital, and that was the longest ride of my life. His heart was still beating and he was still breathing, just very shallow and irregularly, and he was extremely weak. My then 4 year old daughter asked "Did Liam die a little bit?" She sat with her grandmother while paramedics worked on Liam. I told her no, that we would help him. In the ER, Liam had blood drawn. His white blood-cell count was high, but there were no other signs of illness. He was placed on a bipap machine, but after nine hours, intubation was needed to help him breathe. Another MRI was ordered (his 4th), and it again showed progression of the cerebral atrophy. It was now in his midbrain and brainstem, and the ventricles in his brain were expanding to make up for the loss of brain volume. The PICU doctors did not tell us life expectancy, but they were grim with his prognosis. We were devastated. Liam recovered in the hospital, and after 10 days was discharged to go home. 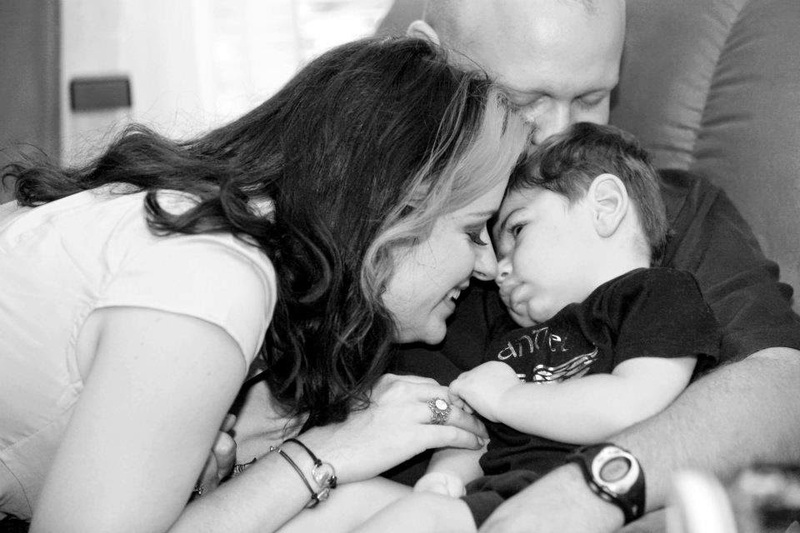 In March of 2012, Liam began having tonic seizures that were very hard on his little body. He would only have them during his naps. He would be asleep, then suddenly open both eyes very wide, and his limbs and torso would stiffen for about ten seconds. Sometimes, he'd go right back to sleep, but sometimes he would cry and scream. It was horrible. His 5th MRI showed more progression of the cerebral atrophy, which we expected, but nothing acute going on to account for Liam's severe irritability. His neurologist referred to the results as "end stage atrophy." His brain was essentially continuing to die. We made very difficult decisions regarding Liam's care and very poor prognosis. We knew his life would end entirely too soon, and we were devastated. We still had no answers to the underlying cause of this rapid progression of brain deterioration and seizures. He "screams" mitochondiral disease, leukodystrophies, even Batten Disease symptoms, yet tests just don't confirm these diseases. We added medications to ease his pain and suffering, which helped tremendously. Liam turned two years old!! It was an unusually warm day and we had the door open. He loves feeling the breeze and hearing birds chirping. They always bring a wave of peace and calm over him. He was wide awake, happy, and didn't need any medication to enjoy his miraculous day. He even gave us some coos a few days later to say just how much he loved us, and we returned the love each second with huge smiles and laughs! It was the most beautiful week ever!! After all of this fun, Liam slept all day Monday, the 17th. On Tuesday, the 18th, he slept most of the morning, and awoke screaming and crying, and this continued for over an hour after being awake. He needed a lot of medication to alleviate whatever pain he was having. He eventually calmed but was having shallow breathing, so we increased his oxygen to 5 liters. The next day, Liam was gasping for air. His medical team was here and we increased his meds and oxygen to 8 liters on a mask. I knew the end was coming but didn't say anything, yet some knew. I said we should celebrate Christmas early and open some gifts. We opened gifts for Liam - a stuffed animal from his sissy, clothes, and light up toys. I held Liam as he remained calm, but only breathed a dozen breaths per minute. I whispered to him "It's okay Bubby, it's ok. I've got you baby boy. Mommy's got ya." I asked God to please keep him here with us until after Christmas, but if he needed to take him, please let him be peaceful. Liam was calm today, but still having episodes of gasping for air. He was taking six breaths per minute that afternoon. Friends and family came to visit. I knew he was fading but didn't tell anyone. I went to lay down with my daughter for the night, and my husband sent me a text to come into the living room where he was holding Liam as he slept. He said "He's not moving." He was so calm. I ran to his bedroom to grab the stethoscope to listen. I heard nothing, only my own raving heartbeat. I was on the phone with his hospice nurse, who was on the way. I told her I couldn't hear anything, just my own heartbeat. At 11:15 pm, Liam took his last breath in his daddy's arms. I said "Let me hold him" in a panicked voice, like if I took him quickly, he might breathe again. But he didn't. He looked so peaceful. My husband stood with me, wrapped his arms around us both, and we cried. The biggest calm washed over me. My heart rate dropped. I inhaled. I exhaled. I let God in to comfort me. I hope my husband felt the same thing. The wind blew so hard outside that branches scratched the windows. Chairs in the yard fell over. I knew that was Liam soaring high above to Heaven. As we kissed our beautiful angel goodbye, we told him we'd see him again.. and what a glorious day that would be!! Liam touched thousands of people worldwide. We miss his gorgeous face terribly. He was filled with so much love, he gave us a fairytale! We didn't focus on what he couldn't do, only what his little fingers and beautiful face and warm snuggles gave us. That was pure joy! His only diagnosis as of today, is cerebral atrophy and refractory epilepsy. We have yet to know why his brain continued to deteriorate. It is devastating and utterly heartbreaking. He was the most beautiful baby in the world and will always be my warrior, my fighter, my treasure. 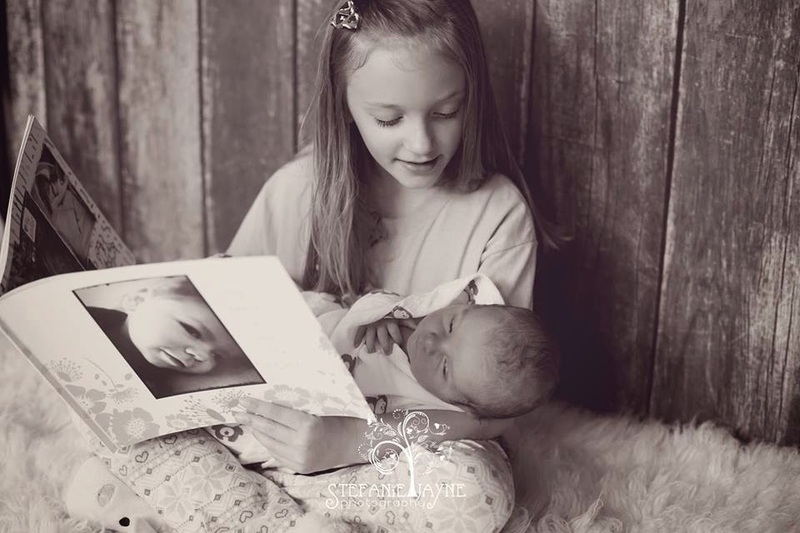 He and his big sister, McKenna, shared an unbreakable bond and immense love. They spoke their own language, even though Liam never uttered a word. We've welcomed another baby boy to our family, Finn Liam. It breaks my heart that I will never see my three children hand-in-hand strolling down the street, or never see them laugh together. But they will always know their brother, and how brave he was! We adore you, Liam The Brave!! Sasha, I commend you on your strength. What you have been through is every parent's greatest fear, yet I feel like it could happen to any one of us. It is heartbreaking, yes, but it is important to share your story. I want people to know about children with special needs, and how families are affected and changed by them. I am deeply touched, and grateful for your love, wisdom and openness. May we ALL love deeply and learn from each other.